Is This A Cool World Or What? 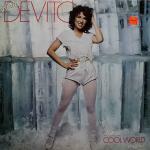 Quero saber mais sobre o disco Karla DeVito - Is This A Cool World Or What? (NFE 37014).